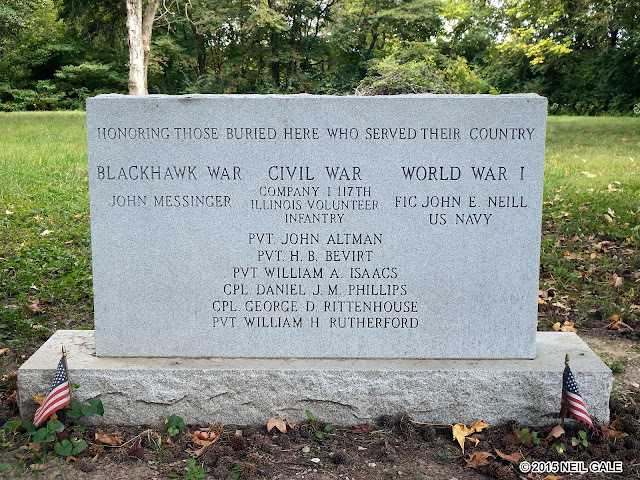 The Digital Research Library of Illinois History Journal™: The History of John Messinger (1771-1846), the Messinger Schoolhouse, Messinger Cemetery and the Pearl Harbor Veterans Memorial in Swansea, Illinois. The History of John Messinger (1771-1846), the Messinger Schoolhouse, Messinger Cemetery and the Pearl Harbor Veterans Memorial in Swansea, Illinois. 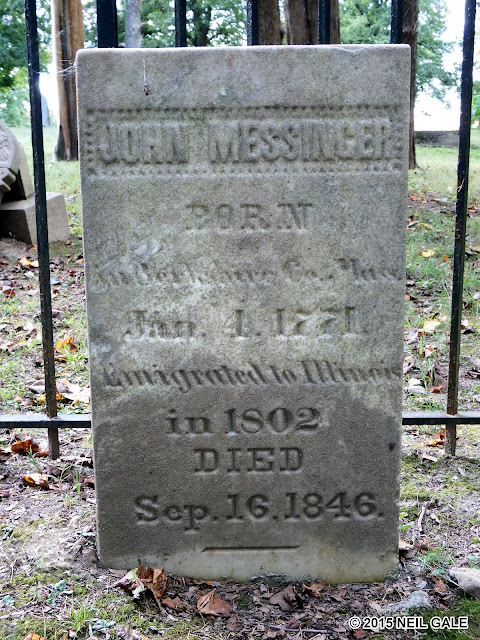 John Messinger was born in West Stockbridge, Massachusetts, on January 4, 1771. He was raised on a farm but received a good education and was particularly fond of the study of mathematics. 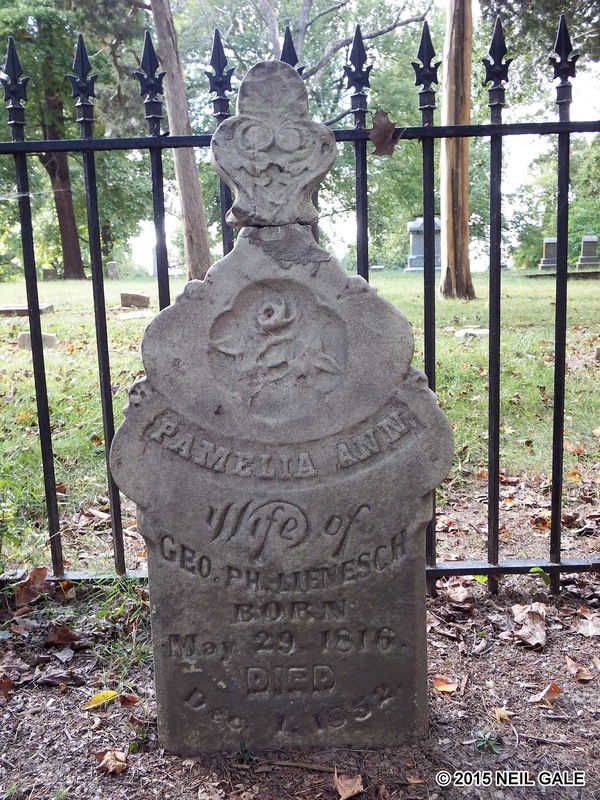 In 1783 he moved to Vermont and learned the carpenter’s trade and also became a millwright. In 1801 he joined a party of pioneers led by Matthew Lyon who left Vermont and settled in Eddyville, Kentucky. 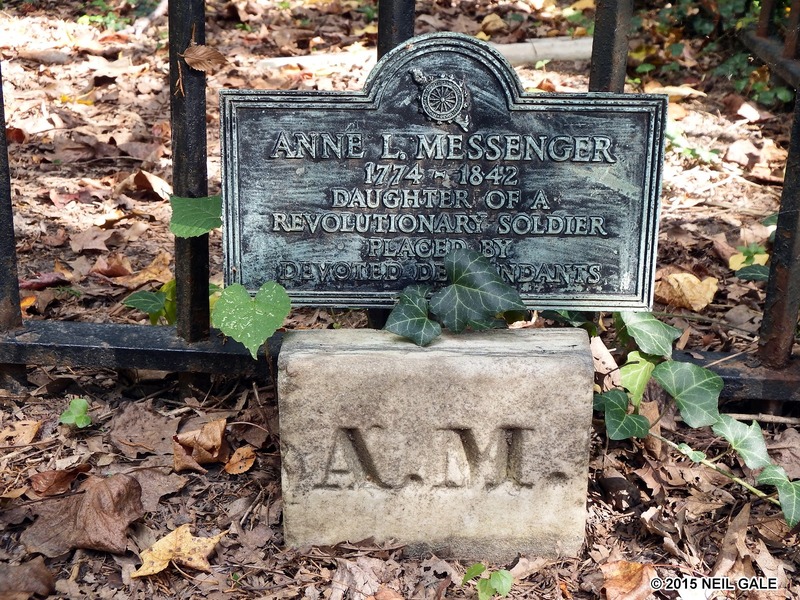 Messinger married Lyon’s daughter, Anne, (1774-1842). 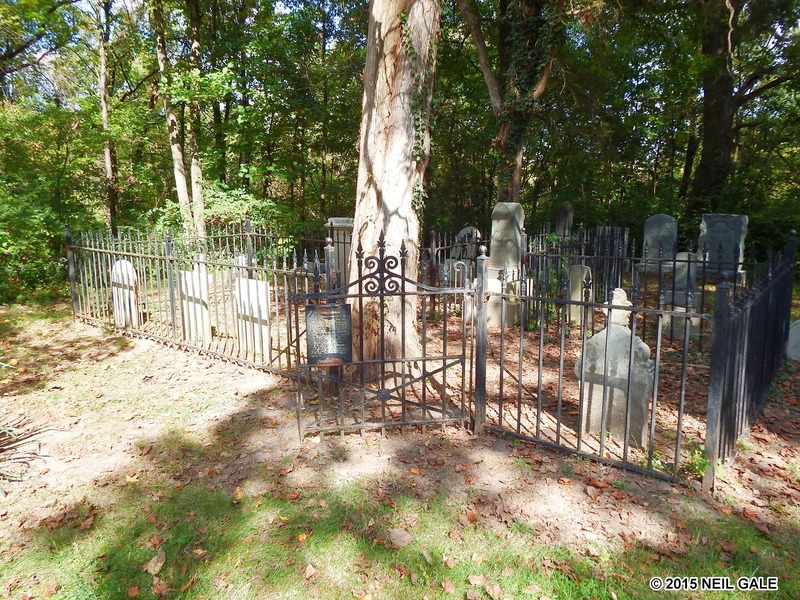 He was opposed to slavery so he and his family along with his brother-in-law, Dr. George Cadwell, moved on to Illinois in 1802, first settling in the American Bottom and then moving to New Design. In 1807, Messinger moved his family 2 1/2 miles north of Belleville (from the French word meaning "Beautiful City"), Illinois, naming his property Clinton Hill. He was the first postmaster outside of Cahokia, in the county, having the post office at his residence. The first surveys of land under the government of the United States, were made by William Rector in 1808. They were part of Cahokia Commons and military claims. The surveying of Congressional townships was not made until 1814, when much of the work was done by John Messinger, who was a sub-contractor under Rector. 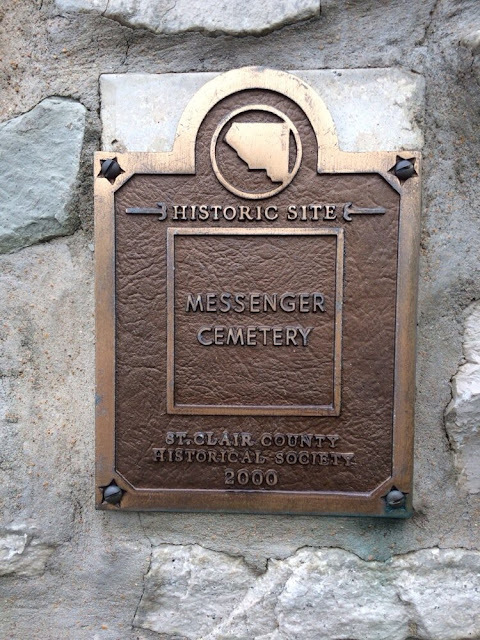 Messinger surveyed much of the public domain in both St. Clair and Randolph Counties. 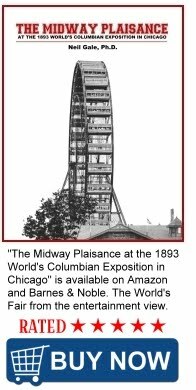 In 1815 he was made a deputy under the Surveyor-General of Ohio with authority to survey the military tract in the forks of the Mississippi and Illinois Rivers and surveyed much of that tract. 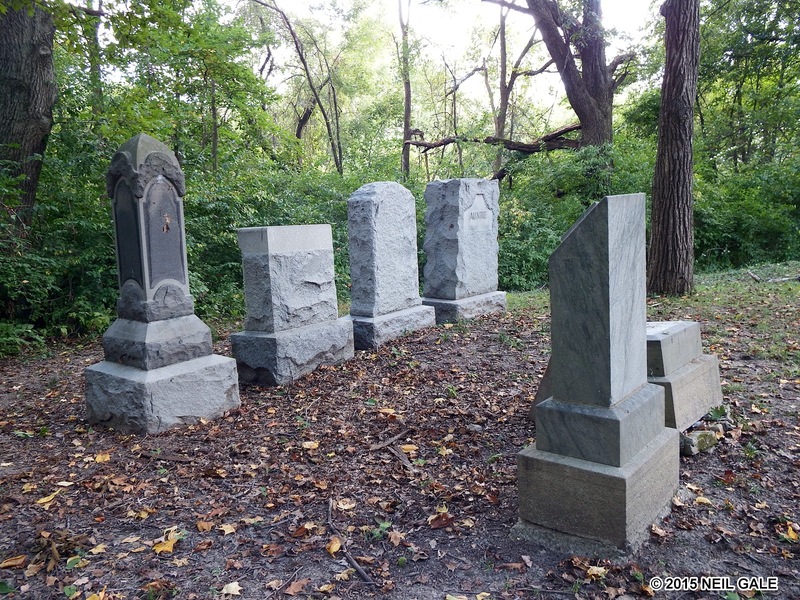 Later he was appointed to assist in the survey of the northern limits of Illinois and he made a part of the astronomical and mathematical calculations by which the line dividing the states of Illinois and Wisconsin was located. He and Philip Creamer, a skilled mechanic, made surveyors’ compasses. 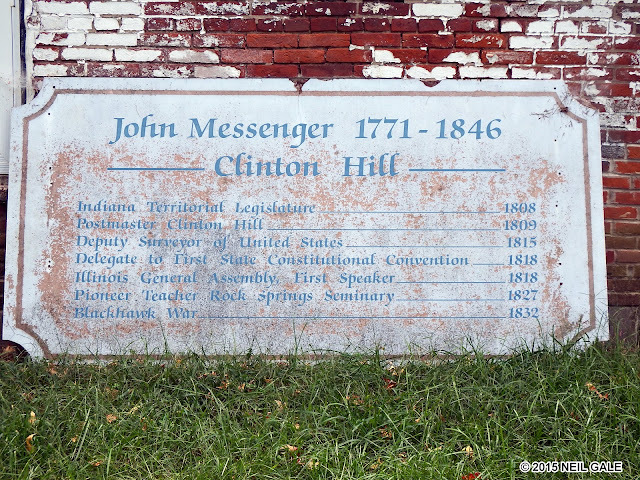 Messinger was a member of the convention that met at Kaskaskia and framed the first constitution of Illinois. 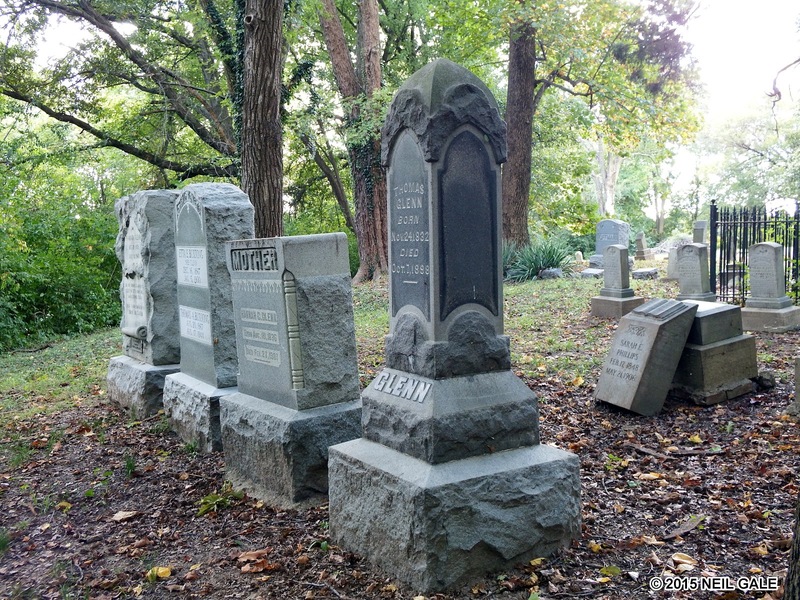 In 1814, Belleville became the county seat, and subsequent elections were held at this place. Poll list and return of the first election held in St Clair County, after the admission of Illinois as a state, Sept. 17, 1818. Election polls began and were held at Belleville, for and within the county of St. Clair, in the Illinois territory, on Thursday, the 17th of September, 1818, to elect the following members to organize and form the Government of the State of Illinois, by virtue of the Constitution passed in August, 1818, to elect one Governor, one Lieutenant-Governor, one Representative to Congress, one Senator to the General Assembly, three Representatives to the Assembly, one Sheriff, and one Coroner. The election was closed at three o'clock on Saturday, the third day of said election, whereupon it appears that Wm. Kinney is duly elected Senator of the Assembly, John Messinger and James D. Thomas elected Representatives, Wm. A. Baird elected as Sheriflf, and Job Badgley as Coroner. Voting took place viva voce ("Viva Voce" is a Latin phrase literally meaning "with living voice" but most often translated as "by mouth"). The two-year term was the last political office Messinger held. Messinger wrote and published a book entitled, “A Manual or Hand-Book of Practical Surveying” in 1821. In February of 1825, John Mason Peck, a Baptist minister, arranged for establishing a Baptist Seminary in Illinois, and St. Clair County was selected for the location of the school. A two-story frame building, with two wings, was completed in 1827, and the "Rock Spring Theological Seminary and High School" was opened. Rev. Joshua Bradly was principal. Rev. John M. Peck Professor of Theology, and Rev. John Messinger Professor of Mathematics. It opened with one hundred students. This was the first literary institution in the state higher than a common or primary school. In 1831 it was transferred to Alton, and became the foundation for Shurlleff College. 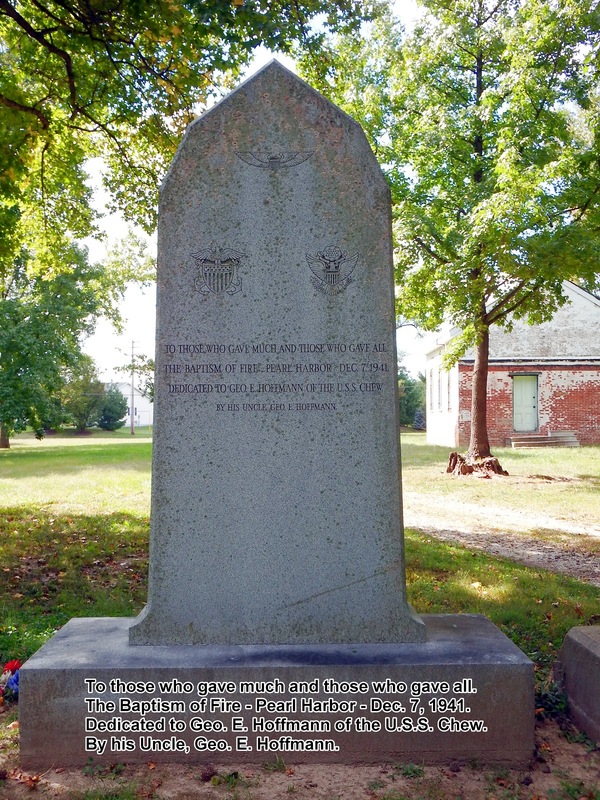 Messinger fought in the Black Hawk War in 1832 under General Atkinson's command. In 1835 he produced the first map of Illinois based on the official United States Survey. Messinger died on September 16, 1846. IS THE SURNAME MESSINGER OR MESSENGER? 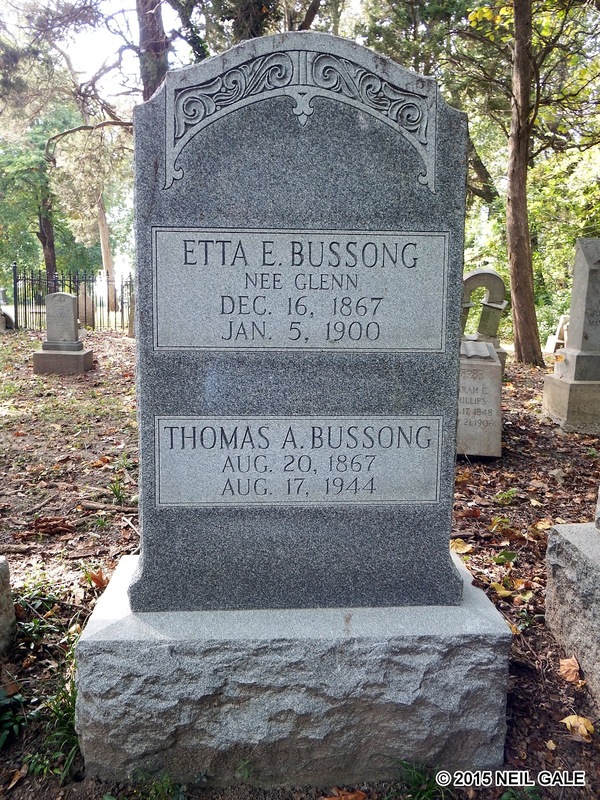 The Historian and Curator of the St. Clair County Historical Society (STCCHS), William P. Shannon, IV stated "You've likely noticed the difference in spelling in the surname between the cemetery plaque and the headstones. Is it Messinger or Messenger? The answer is the always-frustrating: "that depends." If we are interested in how John spelled his surname, there is little doubt. 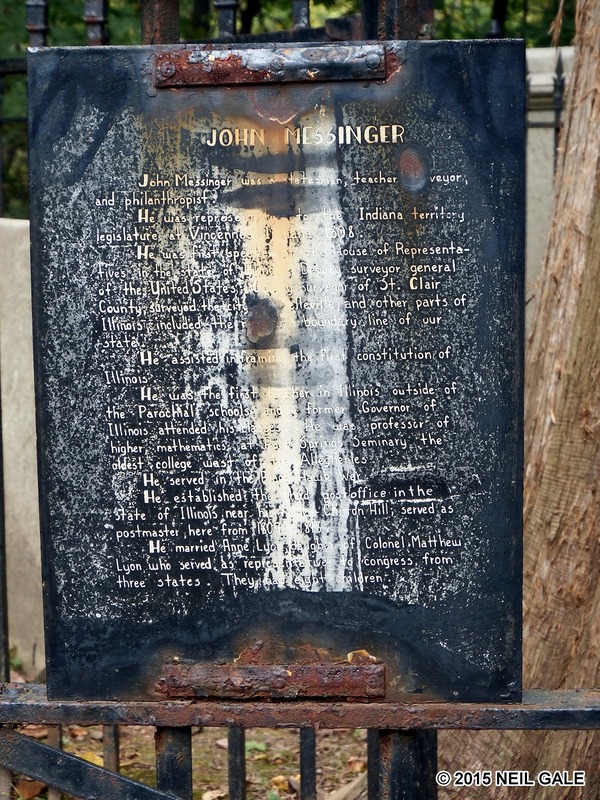 It was Messinger. Several documents written in his own hand confirm this. There was one branch of the family, however, who adopted the Messenger spelling. So, as I said, it depends. It was this misspelled name that got the first round of the name spelling debate started. I took it upon myself to comb through our collection to find instances of Messinger writing his own name. On a property tax bill from 1827, a copy of the poems of Oliver Goldsmith from 1819, and his surveyor's field book (likely from the 1820s), he signs [his name] with an, "I" every time. 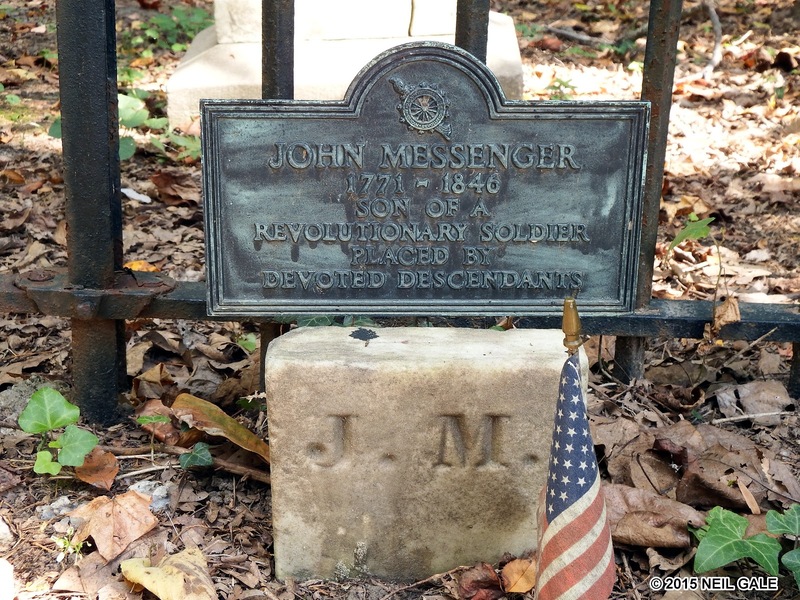 Also, he is referred to as John Messinger (not Messenger) in the memoirs of John Mason Peck and Matthew Lyon (his father-in-law)." 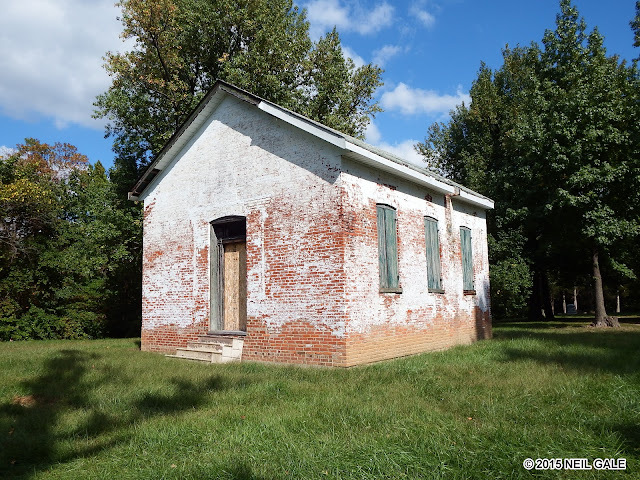 Built by pioneering surveyor and teacher John Messinger to educate his children in the 1840s, the Messinger Schoolhouse is thought to be the oldest one-room schoolhouse in St. Clair County. "Expert House Movers" of St. Louis. The STCCHS preservation committee relocated the historic Messinger Schoolhouse from Belleville, Illinois to Swansea in order to restore and preserve this important piece of local history. On Saturday, December 8, 2012, Expert House Movers of St. Louis carefully placed the old one room Schoolhouse onto a truck bed. 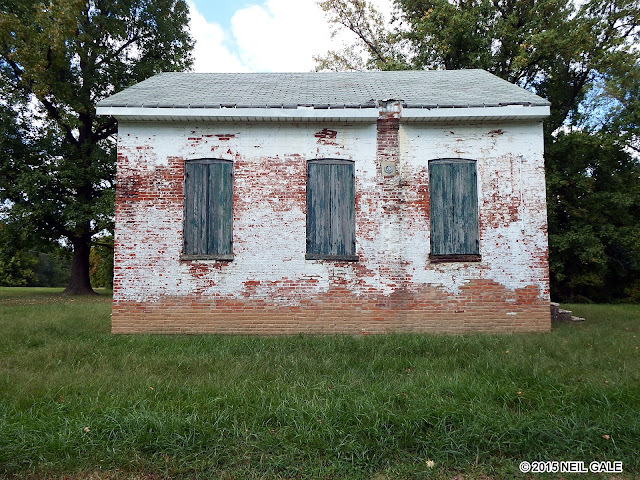 The Schoolhouse, 18' x 24' was relocated to the Messinger Cemetary just a mile down the road from its original site. The Schoolhouse was donated by the Agne family to the St. Clair County Historical Society. The STCCHS owns and maintains the Messinger Cemetery and plans to eventually open the schoolhouse to the public as a museum. 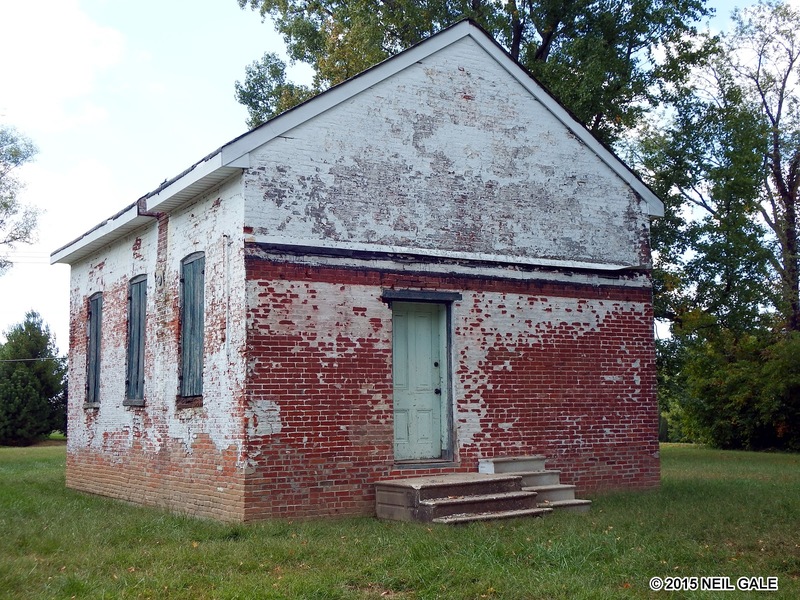 Some brick buildings were supposed to be painted. That said, not all historic brick buildings that are currently painted were meant to be painted. 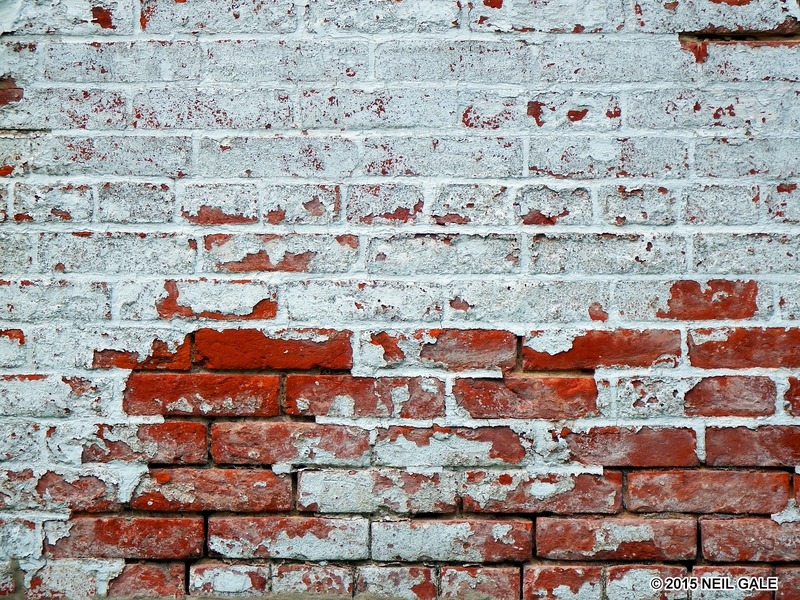 Generally speaking, in the United States, historic brick structures that needed paint were built prior to the 1870s. Bricks in the U.S. were first made by hand, with clay, sand, and water and pressed into molds, then dried and fired. Brick-making technology advanced from hand-power to animal-power to water-power to steam-power, and eventually, to uniform machine-made bricks. 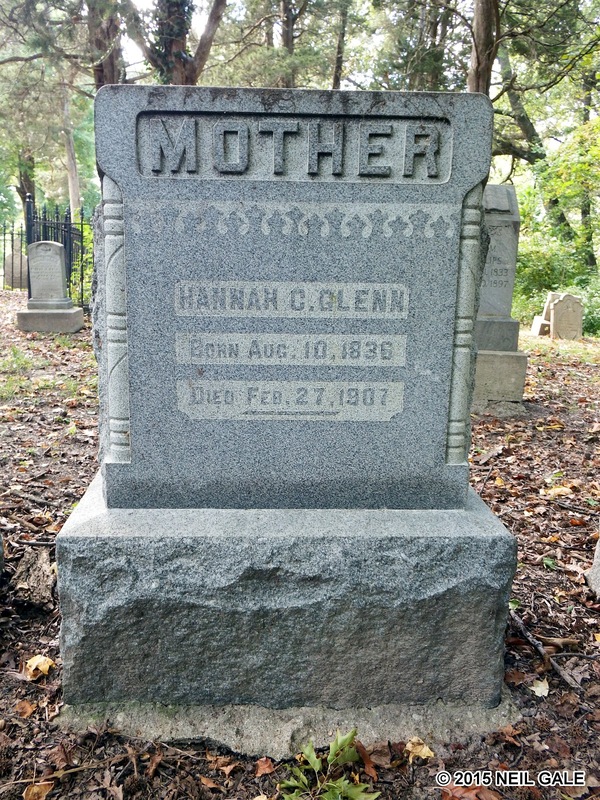 The mineral content of the clay and sand determined the color, while application of glazes affected the bricks finish. Buildings made from the weaker, softer, and more porous handmade brick of the early periods often required the use of a protective coating for an added layer to combat natures elements. In the center of the cemetery stands the Pearl Harbor Veterans Memorial. Built by George Hoffman, a descendant of John Messinger, it honors the American servicemen and women killed during the Pearl Harbor attack on December 7, 1941. Dedicated on July 25, 1942, the Veterans Memorial is thought to be the first monument built to commemorate the Pearl Harbor attack anywhere in the United States. The color guard, made up of veterans from VFW posts 8677, 1739 and 805 stand at attention during the National Anthem. 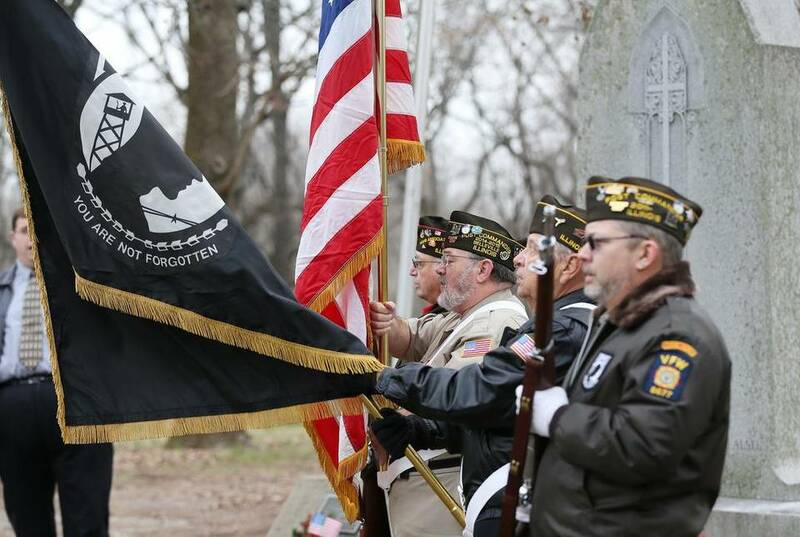 The annual Pearl Harbor Day Commemoration sponsored by the St. Clair County Historical Society was held by the Pearl Harbor monument in the Messinger Cemetery. 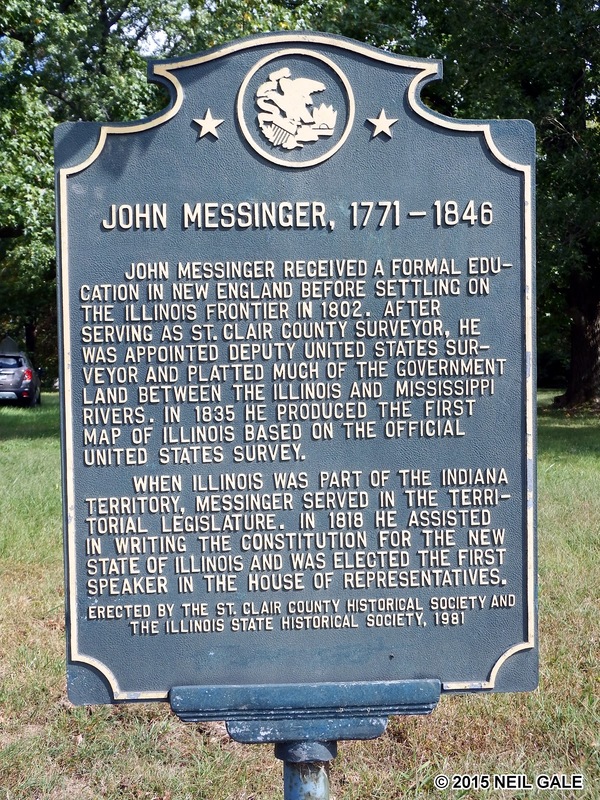 John Messinger received a formal education in New England before settling on the Illinois frontier in 1802. 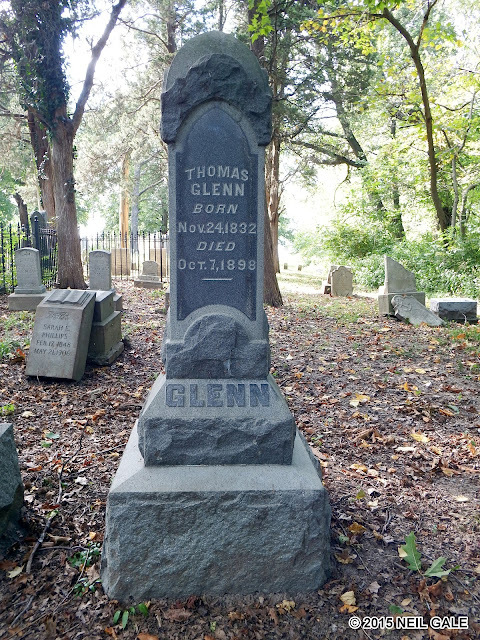 After serving as St. Clair county surveyor, he was appointed Deputy United States Surveyor and platted much of the government land between the Illinois and Mississippi Rivers. In 1835 he produced the first map of Illinois based on the official United States Survey. When Illinois was part of the Indiana territory, Messinger served in the territorial legislature. In 1818 he assisted in writing the constitution for the new State of Illinois and was elected the First Speaker in the House of Representatives. Erected by the St. Clair County Historical Society and the Illinois State Historical Society, 1981. 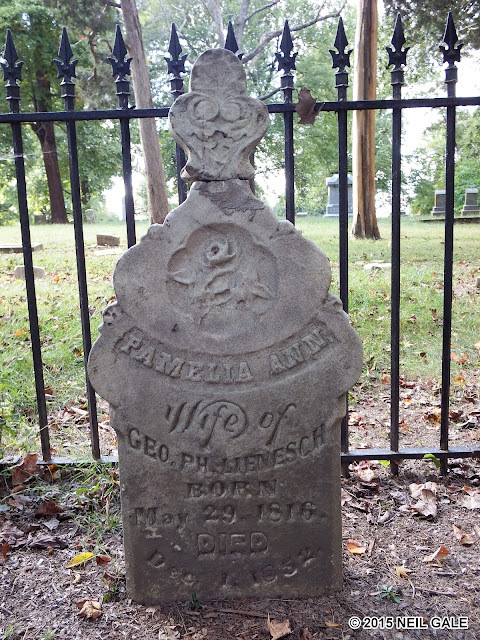 For me, the marriage between Pamelia Anne Messinger and George Lienesch was an important one. 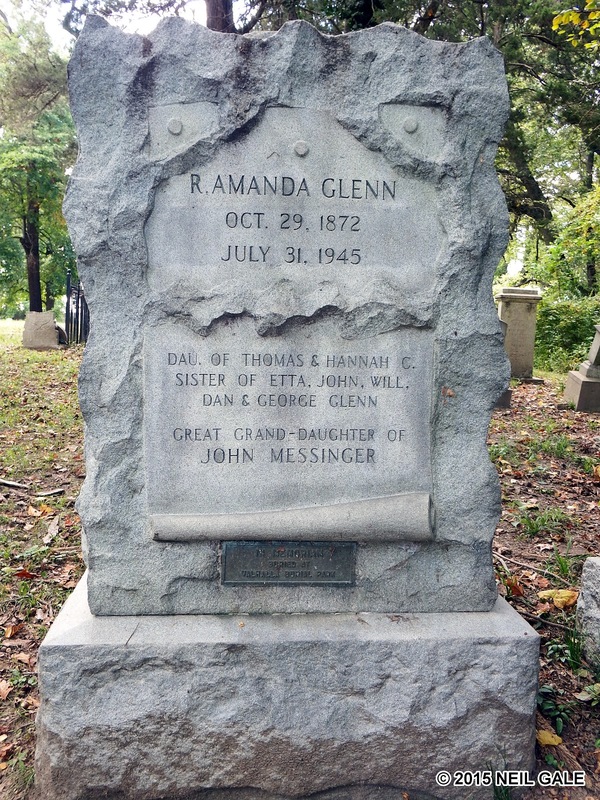 It represented the joining of two significant early 19th century immigrant groups in southern Illinois: the Americans, as they were known, and the Germans.